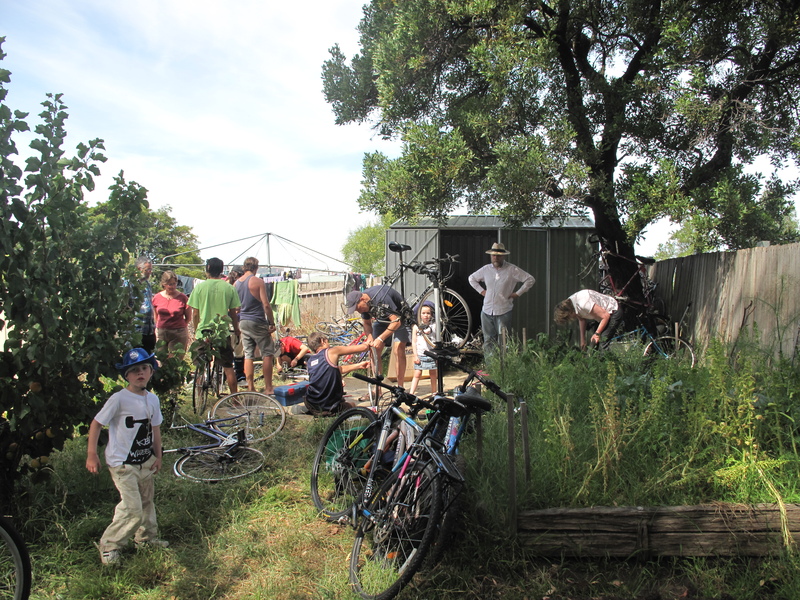 Last weeks Bike Kitchen was possibly the biggest yet. 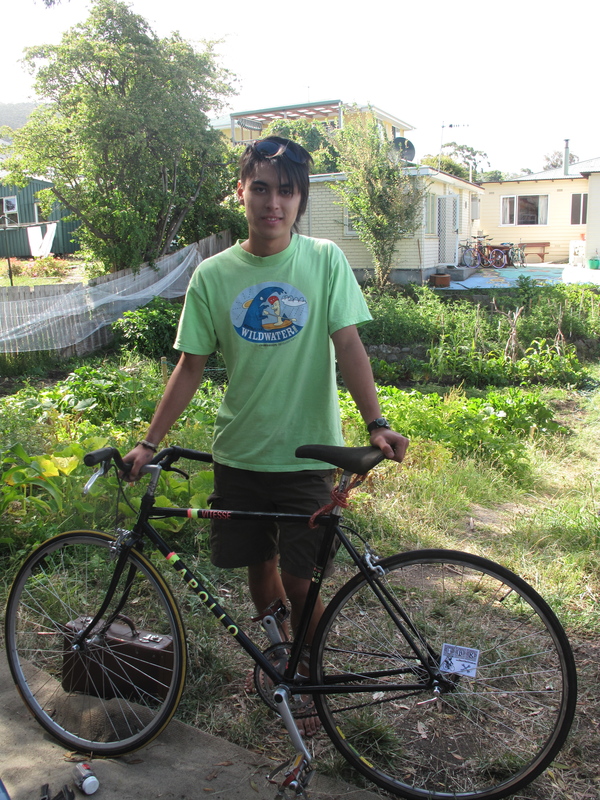 The backyard was filled with Bikes, Bike Kitcheners, Kids and a Dog. 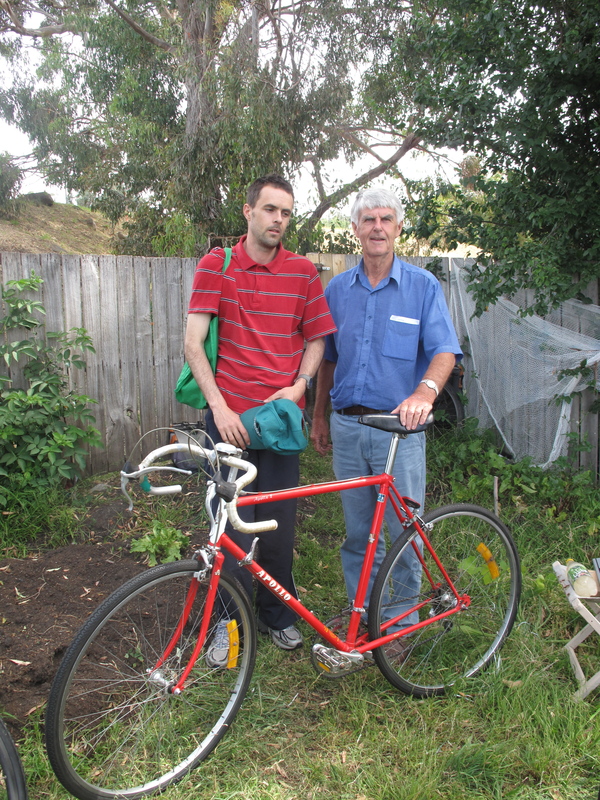 Mark and his father with their completed Apollo which was gorgeous. It took a few sessions to get all the niggles out but all the effort was worth it! Ollie built up another Apollo frame which I found a few bocks from HBK HQ on hard rubbish day. This frame was a full on racer and really light. Currently running ‘Ghetto’ single speed, (2 Chainrings and Cassette remain) this bike is the perfect steed for getting around town and to Uni. The expertise shines through. Thanks for taking the time to anwser.